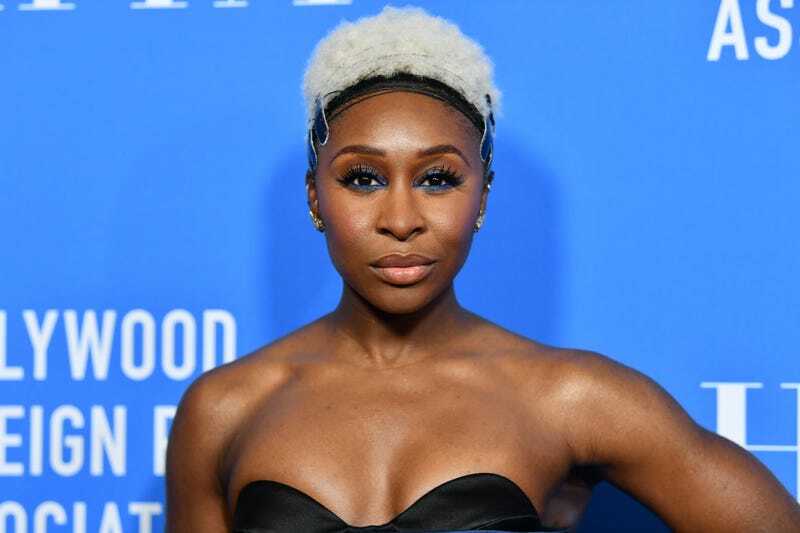 To call Cynthia Erivo an “acclaimed actress” borders on understatement. She’s an Oscar award away from achieving EGOT status (and if she secures one within the next 7 years, she’ll be the youngest to do so), winning particularly rave reviews for her portrayal of Celie in The Color Purple on Broadway. But many professed fans of Erivo are critical of her latest role: that of Harriet Tubman in an upcoming feature film. The role was actually announced last year, but debate around Erivo’s casting was reignited by the actress sharing an announcement that Focus Features, the studio carrying the independent biopic, had set production on the movie. Erivo tweeted out the news last Thursday. While many congratulated the Tony-award winning actress, there was immediate criticism about Erivo, who is of Nigerian heritage and was born and raised in the U.K., taking on a figure who is so essential to African American history. Some Twitter users said the choice to cast a non-American, non-descendant of slavery was disrespectful to black Americans. Part of that criticism was levied at Erivo herself, while others cast blame on the film’s African American director, Kasi Lemmons. Erivo herself reponded to the criticism directly, on her Instagram stories and in a separate post. “How would you feel (if) we went to your country and snagged all the acting roles? Why can’t you people create your own movies and roles in the U.K.?” the commenter added. She elaborated in a longer Instagram post, which featured a screenshot of an article announcing the biopic. Of course, this is far from the first dustup about who in the African diaspora can play which roles and why. Samuel Jackson stirred up debate last year when he criticized Daniel Kaluuya, another black British actor, being cast in Get Out. “They don’t cost as much. Unless you’re an unknown brother that they’re finding somewhere. They think they’re better trained, for some reason, than we are because they’re classically trained. I don’t know what the love affair is with all that,” Jackson said on Hot 97. While the comment elicited head nods from some movie fans, others wondered where that energy was when black American actors were cast to play African roles, as with Forest Whitaker playing Ugandan dictator Idi Amin, or Don Cheadle playing the lead in Hotel Rwanda. Still others noted that white British actors and American actors took roles representing opposing sides of the pond all the time. Production on the film starts next month in Virginia. Lemmons, best known for directing Eve’s Bayou and acting in Silence of the Lambs, co-wrote the screenplay; Hamilton’s Leslie Odom Jr. is also slated to co-star.